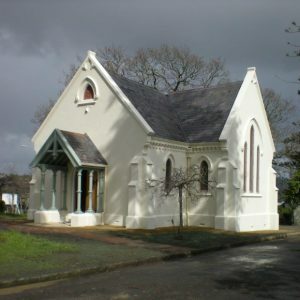 Chapel of Faith in the Oaks is a single storey brick building constructed in 1886 featuring a timber roof structure clad with Welsh slate. 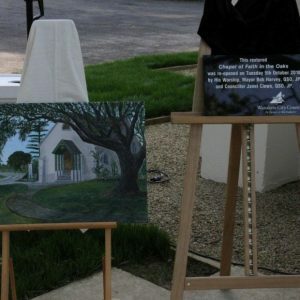 It is located near the top of a gently sloping hill within the Waikumete Cemetery in West Auckland. 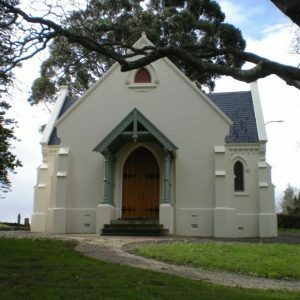 Situated in a grassed area, the chapel is embraced by mature oak trees and pines. 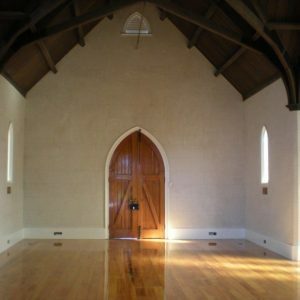 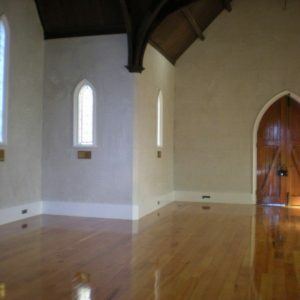 Following advice that the chapel was earthquake prone and dangerous in its current state archifact – architecture & conservation limited was commissioned by Waitakere City Council to conduct a stabilisation programme for the chapel. 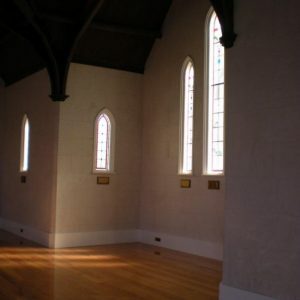 The conservation programme identified works that included a structural upgrade to current seismic standards and the restoration of original wall, floor and roof features; elements of which displayed severe damage through ground movement and water penetration. 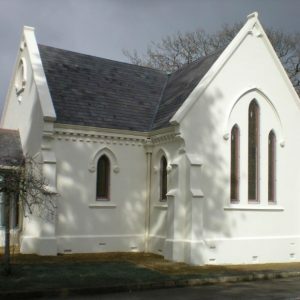 Archifact – architecture & conservation limited oversaw the required conservation work, which has focussed on the minimum loss of historic fabric deemed necessary to secure the long-term survival of this important historic asset using NZIA construction contract documentation.